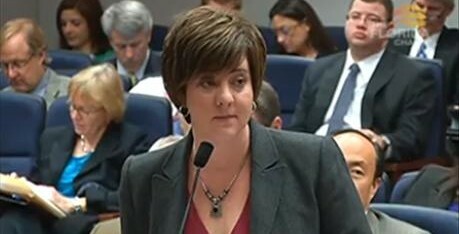 In a now-infamous Planned Parenthood video, the organization betrayed its love for abortion-above-all-else when a representative, testifying against language in Florida HB 1129, proudly admitted to the Florida legislature that Planned Parenthood takes issue with allowing infants born alive after failed abortions to be transported to a hospital. Lest there be any confusion, the alternative is allowing viable infants to die from lack of humane care (or – possibly more horrific – deliberately killing them after birth). And yet, the organization which markets itself as pro-woman, offering “comprehensive women’s health care,” lobbied the Florida legislation to ensure that comprehensive care was not afforded to born-alive infants. The lobbyist, Alisa LaPolt Snow, argued incoherently that, when a live baby is born after a failed abortion, a decision about what to do next (i.e., whether or not to commit infanticide) should be exclusively between a woman and her physician. Now, the idea of infanticide being a considerable option is not foreign to all times and places in human history, even in modern-day countries like China and India (where gender preference drives parents and authorities to the point of deliberately killing girl-infants). Any anthropologist could probably proffer plentiful evidence of infanticide being an acceptable practice throughout human history. For example, in ancient Rome, the paterfamilias, or male head of the household, could arbitrarily decide whether or not an infant member of his family was worth keeping. If he decided no, the child would simply be left in the elements to be overtaken by starvation or bad weather, or be eaten by wild animals. Perhaps that is why Planned Parenthood not just assenting to, but defending infanticide is so distasteful to Americans. We are not a country dominated by gender preference or utilitarianism so strict that we lose sight of the value of human equality – not yet, at least.